I finally got around to naming one of my swarm hives. Actually a reader and fellow beekeeper, Mary Lou Chase, suggested the name because her bees were foraging on the blossoms at the time. She even sent me this beautiful picture she took of her bees on a Milkweed flower. Isn’t it magnificent? Thank you Mary Lou! Honeybee foraging on Milkweed. Photo by Mary Lou Chase. I absolutely adore milkweed. I have fond memories as a child of running through fields of Milkweed, picking and opening the pods and feeling the soft silky feathery seeds. I used to collect the brightly striped Monarch Butterfly caterpillars off the plants and feed them milkweed until they spun a lovely flourescent green chrysalis. I waited patiently for them to transform and was thrilled when they finally hatched into beautiful butterflies and I would get to set them free. I never needed to order a butterfly cage or caterpillars in the mail. I had them right in my backyard, thanks to the milkweed plant. So as you can imagine my childhood memories have a strong affinity to milkweed and this plant is dear to my heart. Besides my love for it and its importance as a food source to Monarch Butterflies, the flowers are a wonderful source of nectar for honeybees in the summer when the plant blooms. Milkweed nectar can be so abundant that you can see it fall out of the blossom when you shake the flower. I have created a separate page for this hive under The Apiary where all its posts will be published, so you can easily follow along with its progress. After I captured this hive off the “power lines” at the end of May, I rehived them in a 10 frame Langstroth hive on wired wax foundation. They have been moving along very nicely and are currently building out their second deep. For the most part I have left them alone and only performed a full inspection on this hive twice. Here are a few pictures of their progress. These are from June 24th which is the first real inspection I did of this hive besides just pulling a frame a few weeks after they were hived to check for eggs. The were organizing all the honey at the top of the frame and building ladder comb on the bottom of the frame. Here you can see they were storing capped honey up top and building ladder comb down below. The bees use ladder comb so they don’t have to fly up into the frame but can walk up onto it instead. I left it for them to use. My other hives have slatted racks and don’t build this comb on the frame bottoms because they do not have room. This one does not have a slatted rack so the ladder comb was interesting to see. This is a closeup of the ladder comb they were building. This picture shows a nice brood pattern. Notice how there are two straight lines of cells where no eggs have been laid. This is because the wire was not embedded properly after the wax was put into the frame. As a result, the queen will not lay eggs there. This frame shows a great brood pattern. Notice how there is a straight line of empty cells across the frame. This is from the wire in the frame that was not embedded well enough. The queen will not lay eggs there. Here are a few pictures from my last inspection on July 10th. This shows a frame with a great brood pattern and capped honey at the top. This hive is extremely gentle. On the first inspection I dropped a frame back into the hive while trying to lift it out and they hardly made a sound. Most of my hives would have been upset by that. Capped honey on a frame with a great brood pattern. On my last inspection I finally found the queen for the first time. Can you spot her on this frame? Can you spot the queen in this picture? See why she was hard for me to spot previously? She is the same color as the workers. She looks like a mutt to me, which I am very excited about actually. I’m happy to have mutt genetics in the apiary. All my other queens are Italians with the exception of one Carniolan. If anyone has another idea of the type of queen this may be please leave me an answer in the comments below. Her royal majesty the queen. Here’s another game of spot the queen. Can you see her here? Another game of spot the queen. Can you see her in this picture? I see 4 eggs in the cells in this picture? How may do you count? The queen and a few eggs in the cells. Now for one that stumped me. Anyone know what this white capping on the brood frame is? Is it just capped honey? If you do know please leave an answer in the comments below. Anyone know what this weird white stuff on the brood frame is? Perhaps it is just capped honey on the frame? To stay up to date on the latest posts please subscribe to our free email newsletter here. This post was shared on the Barn Hop. Anita Deeley is a biologist and former state bee inspector who maintains 100 honey bee hives. She is the beekeeper, writer, owner and creator of BeverlyBees.com. When she is not spending time with her girls (the bees), she enjoys being a wife to her beekeeping cohort, Brian and mother to 3 little boys (the beekeepers in training). Read more about Anita here >> -------------------------------------------------------------------------------------------------------------------- Connect with Anita on Twitter, Pinterest, Google+ or Facebook here. Beautiful photos. Her majesty looks quite regal. Thanks Mary Lou! I love your pics too. Beautiful pictures! It is so fun to hear about others’ beekeeping experiences. I hadn’t know that milkweed is good for bees. I leave some of it in my veggie garden for the sake of the monarchs but now I realize that the bees will benifit too. Great name for your new hive! Thanks Abbi. Milkweed is great for bees! I’m glad you are doing your part to feed the butterflies and bees. I love how keeping honeybees teaches you so much about plants and nature too. I hope to plant some milkweed next year in my backyard close to the cup plant flowers. Thanks for following along Heather and welcome to the hive! Amazing about the wire. The line is well defined, indeed. Was the wire too loose? As always, I enjoyed the beautiful pics of your frames and bees. That queen is a beauty! Thanks Mil. The wire was tight it was just not embedded all the way into the wax. Many thanks for sharing such a great post! 🙂 Wonderful to go through it. Like the quality content , useful information and an amazing photos shared. Keep sharing post like this. Thanks Matthew! Glad you enjoyed it. Did anyone ever identify the white stuff? Because we have a cell of the same looking stuff in one of our hives. No, but I think it was just an odd capping color, as the capping was very thin. Let me know if you find out. I think I know what the white colour is. The bee larva in the cell pupates and spins a little cocoon around herself. Usually the bees on the comb add a wax capping on the outside of the cell just before this happens. But maybe your bees were a bit out of sync and you got a glimpse of the cocoon with the pupa inside it. We Are Hiring Sales Associates and Brand Ambassadors! 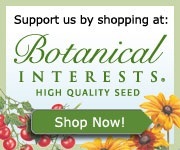 Get Your Bee Safe Seeds Here! By using this link a portion of your purchase, goes toward supporting Beverly Bees. Thank you! Get Our Free Email Newsletter!! By using this website you agree that all text, images and video on BeverlyBees.com are copyright © Anita Deeley, 2011-2019, unless otherwise noted. All content including pictures, video and text is copyrighted and cannot be used without prior written permission. Thank you! Love our blog? Consider a donation. A lot of volunteer work and money goes into writing and maintaining this website – including taking care of bees, buying beekeeping supplies and general beekeeping duties, traveling and attending beekeeping events, plus photographing, writing and sharing valuable beekeeping information with our readers. Your donation will allow us to keep providing our readers with important information in the future that will go toward educating and furthering the understanding of honeybees and beekeeping for backyard beekeepers. We could not do it without you! Thank You!